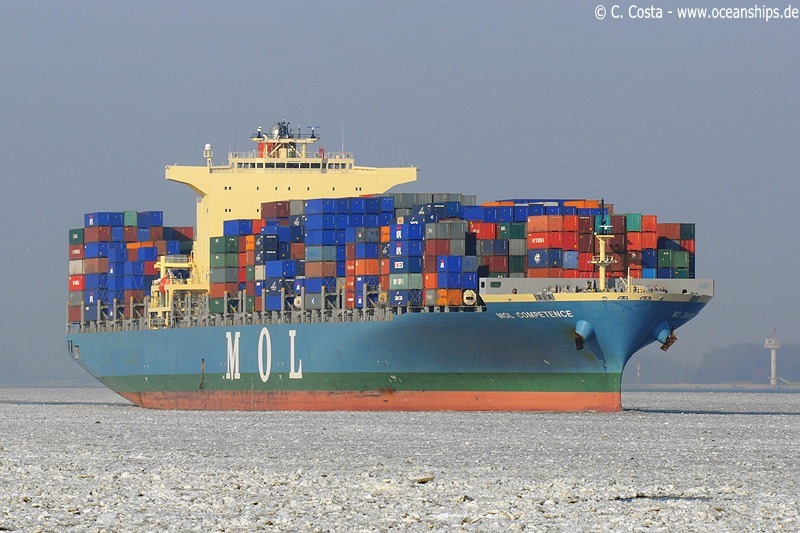 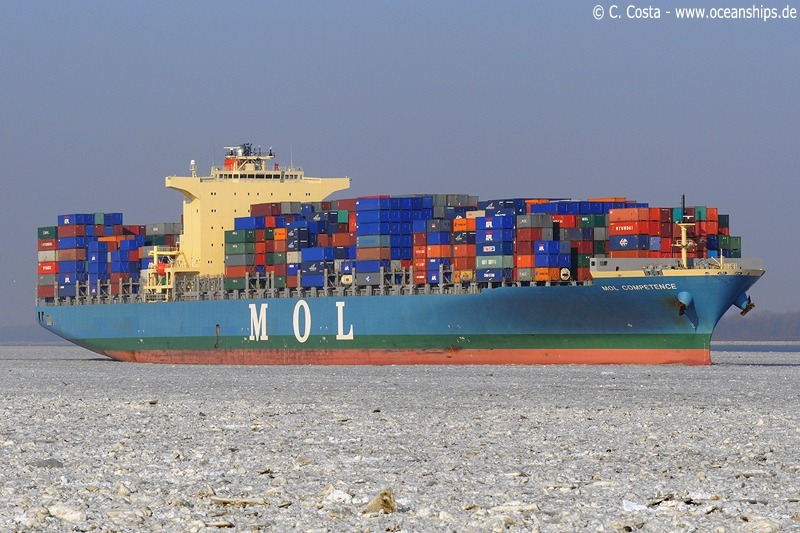 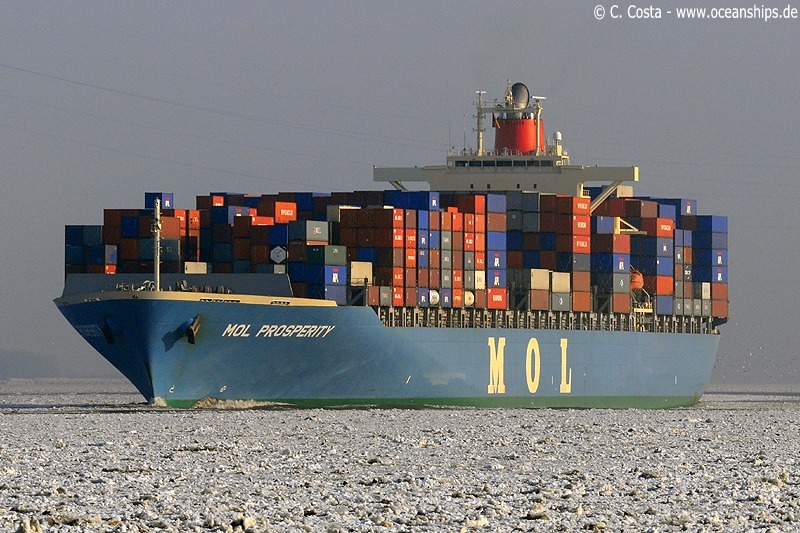 MOL Paramount is passing Stadersand on March 2nd, 2010. 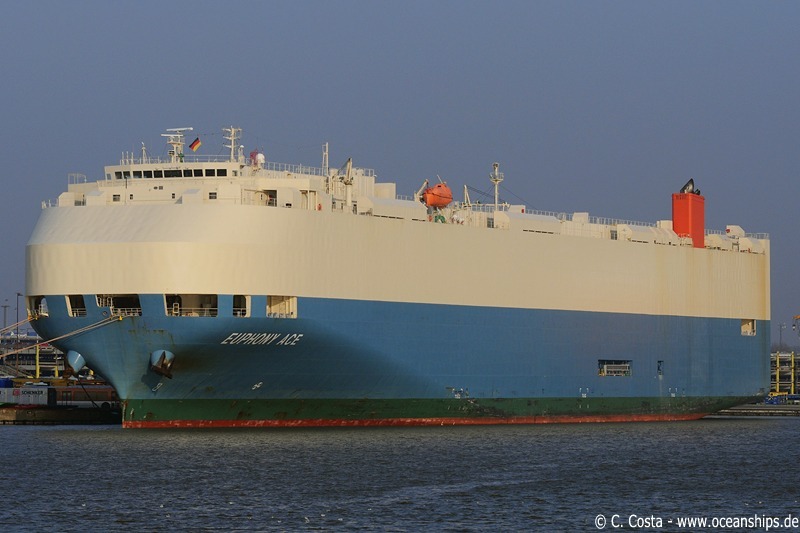 Vehicles carrier Euphony Ace is moored at Bremerhaven on January 25th, 2010. 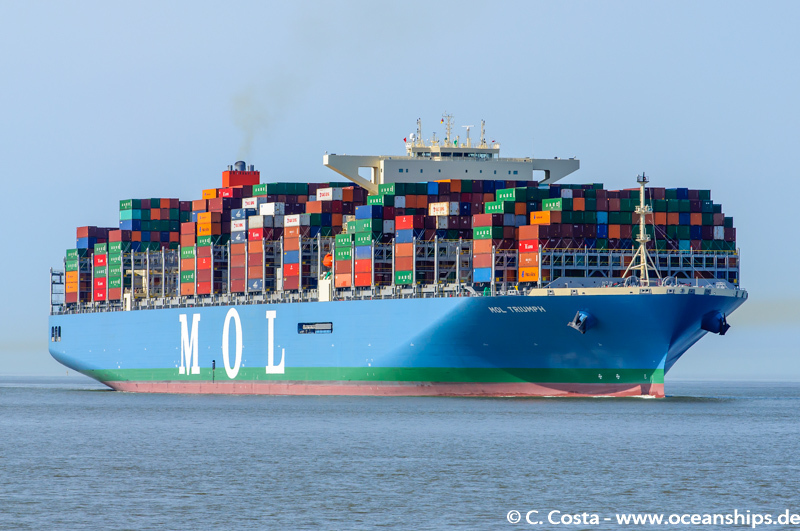 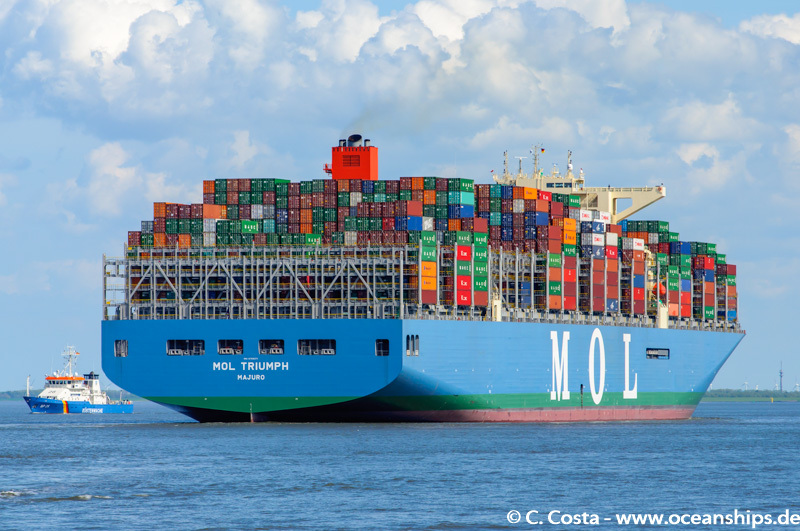 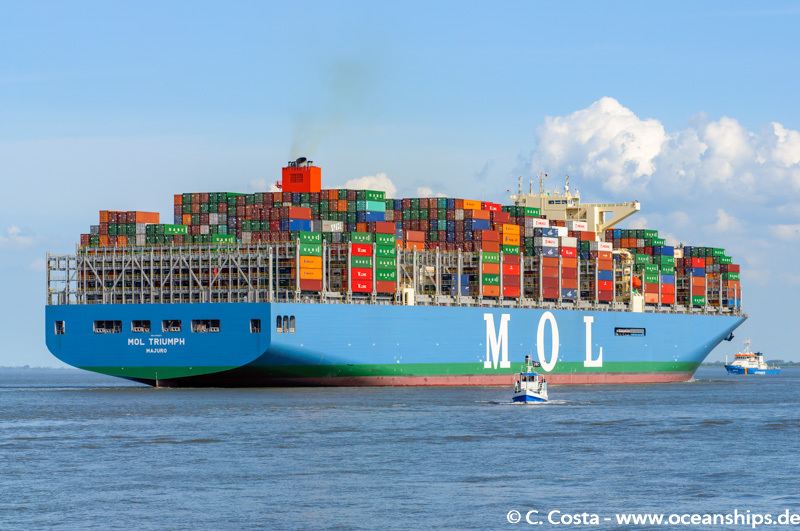 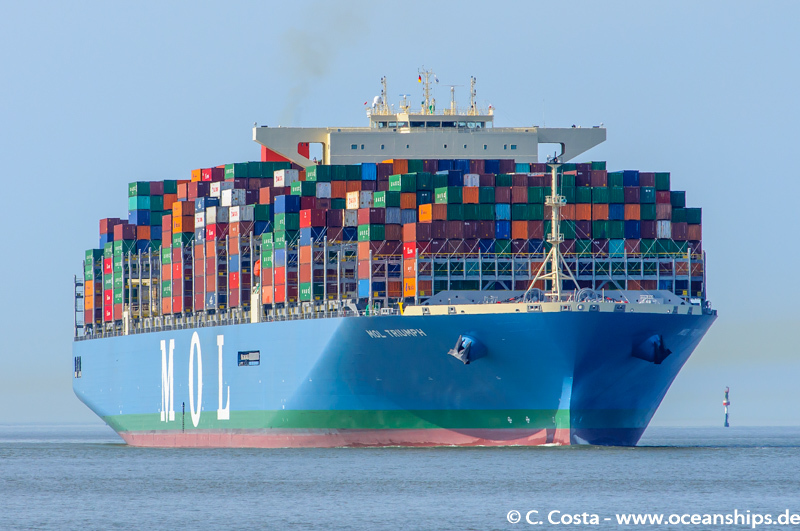 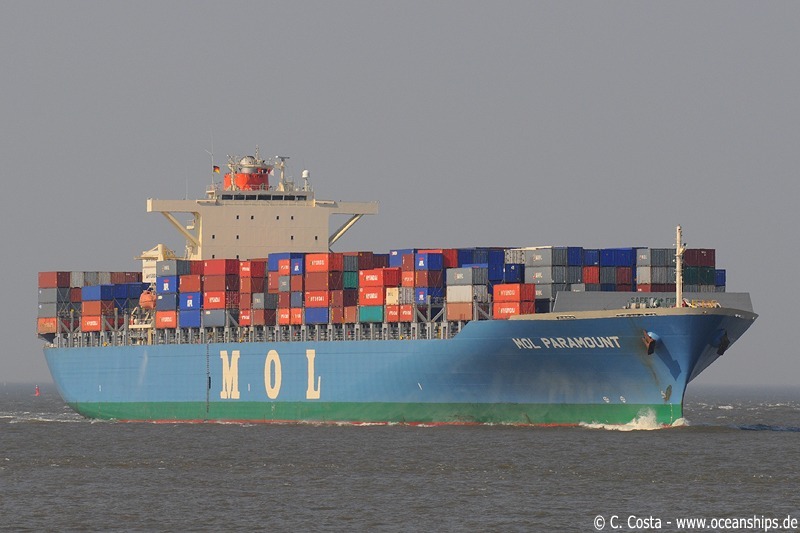 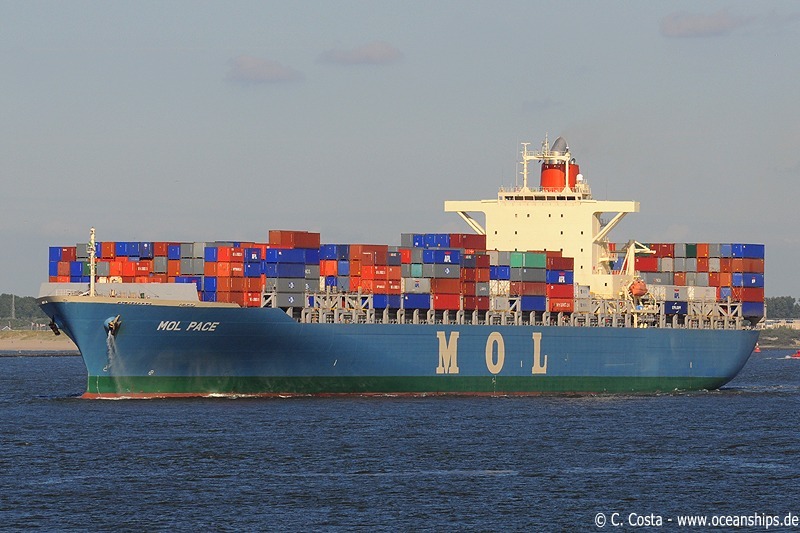 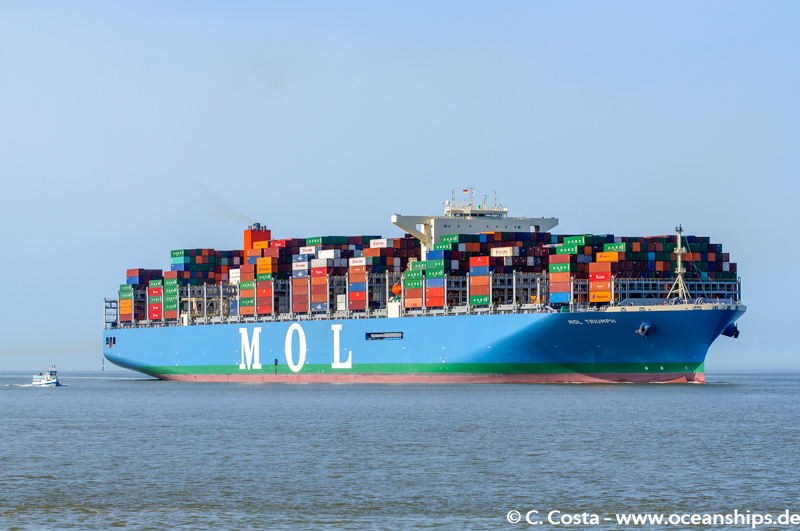 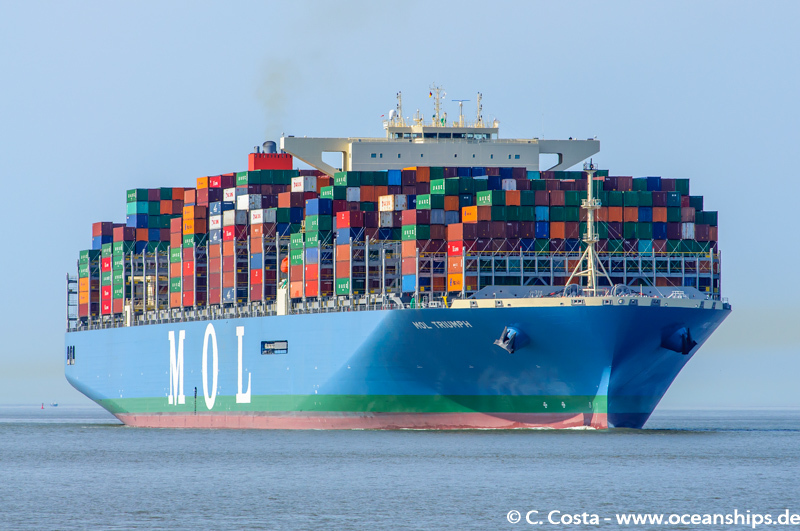 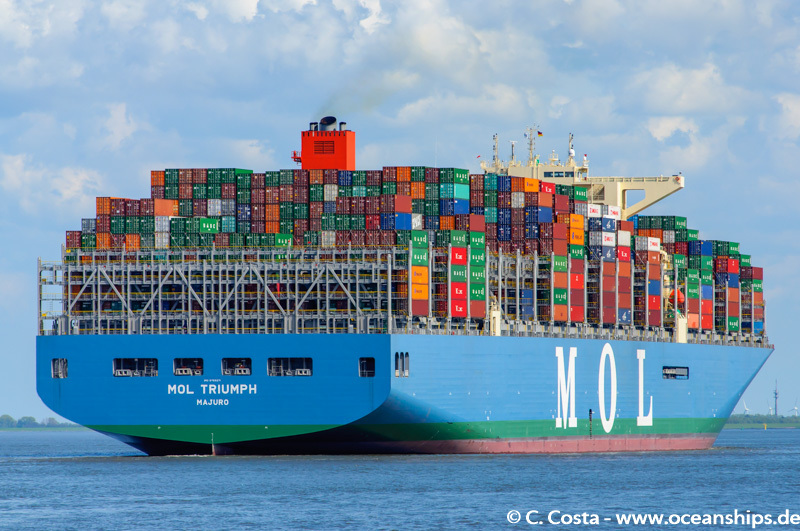 The so far biggest container vessel that has ever sailed in German waters – the MOL Triumph – is passing Cuxhaven on May 17th, 2017. 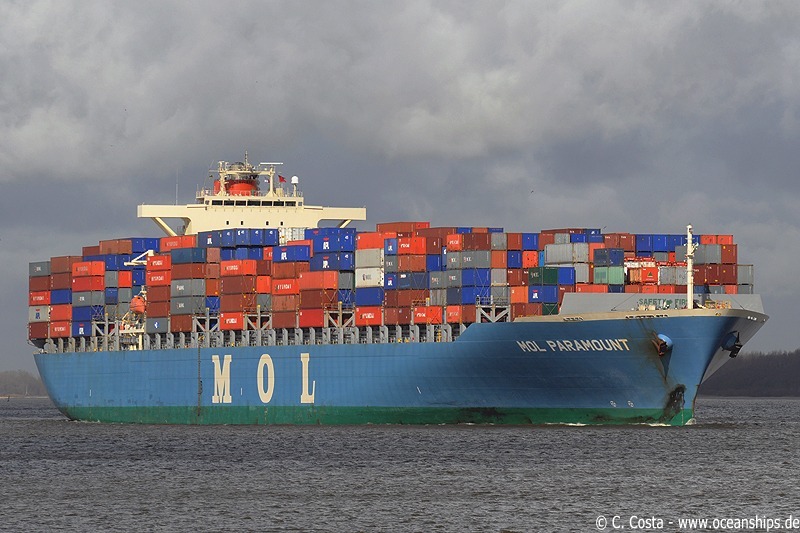 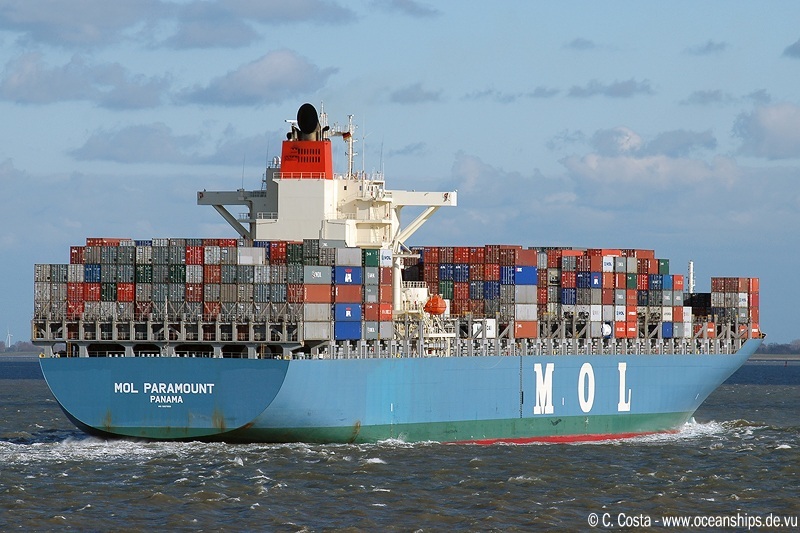 MOL Paramount is passing Cuxhaven on April 16th, 2009. 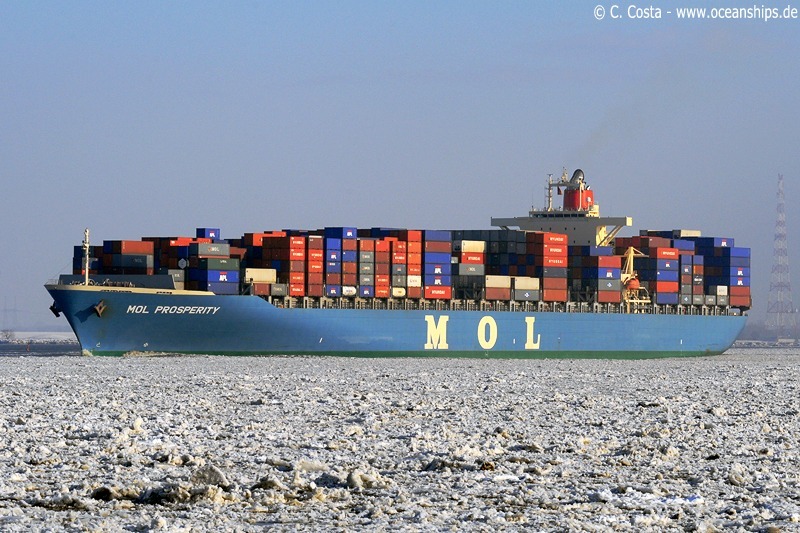 MOL Paramount is passing Cuxhaven on April 03rd, 2007. 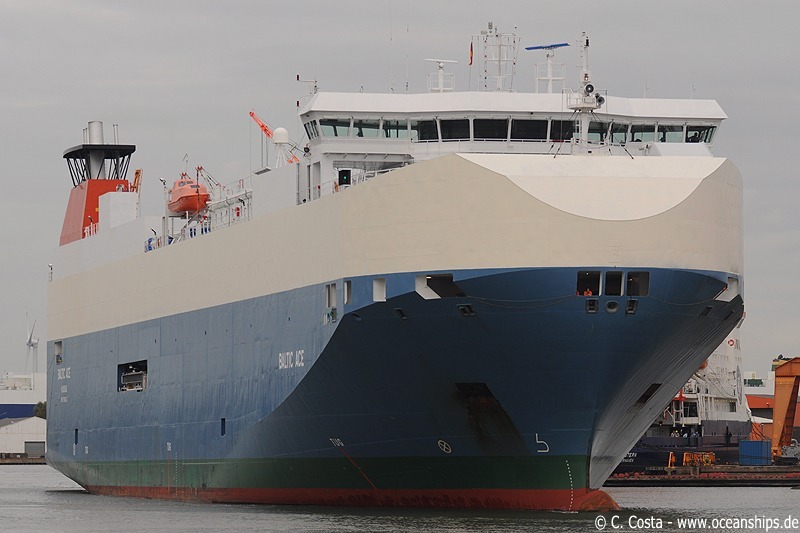 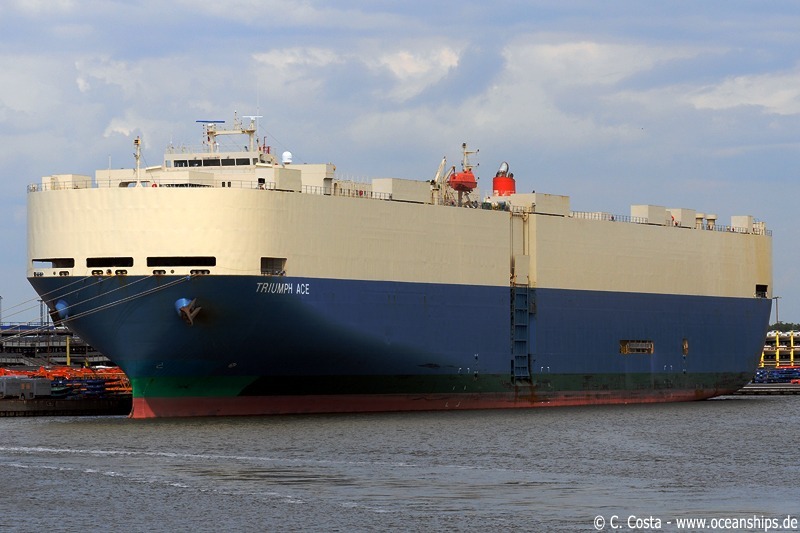 Vehicles carrier Triumph Ace is moored in Bremerhaven on May 18th, 2009. 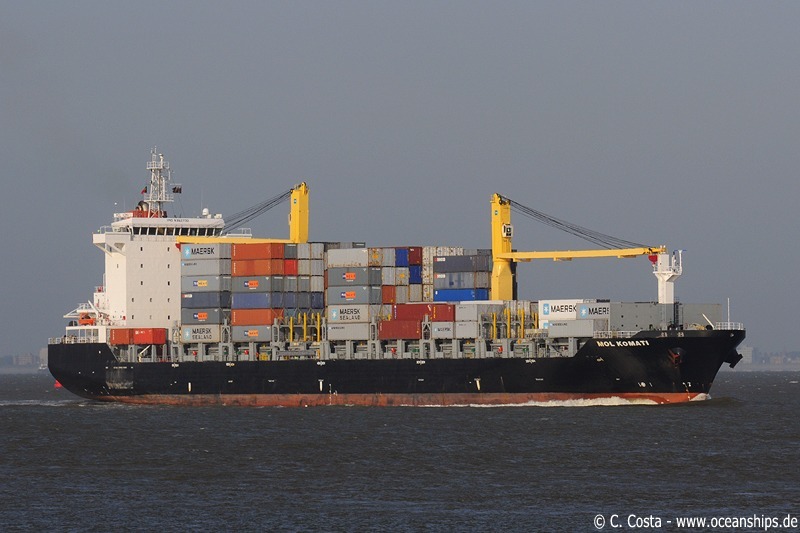 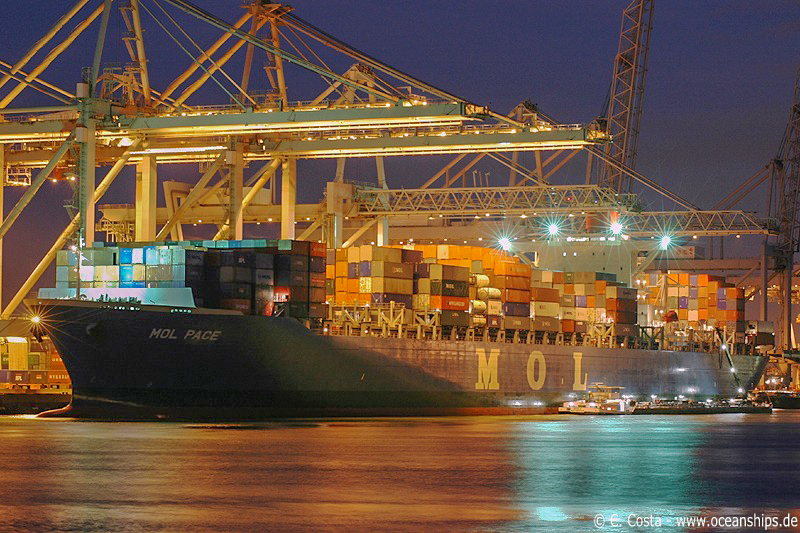 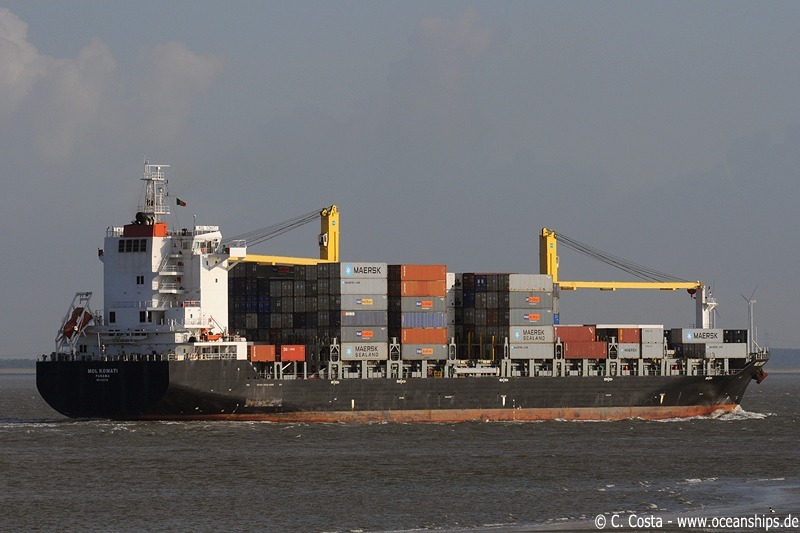 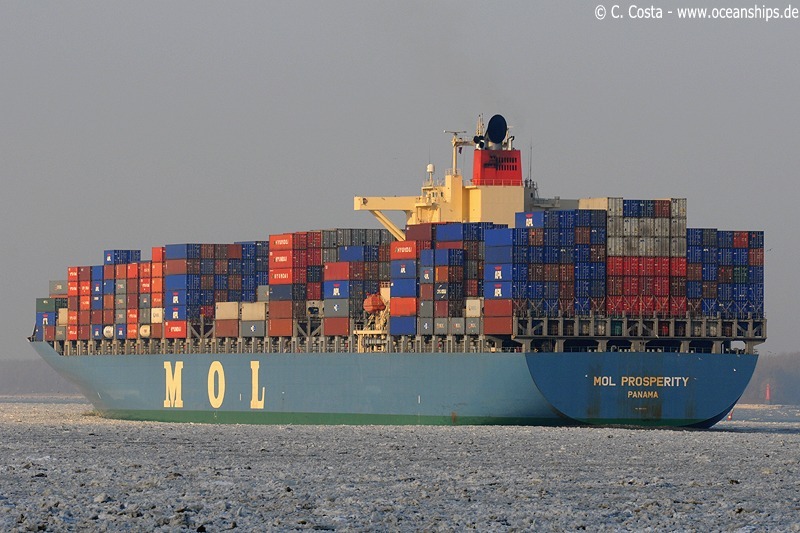 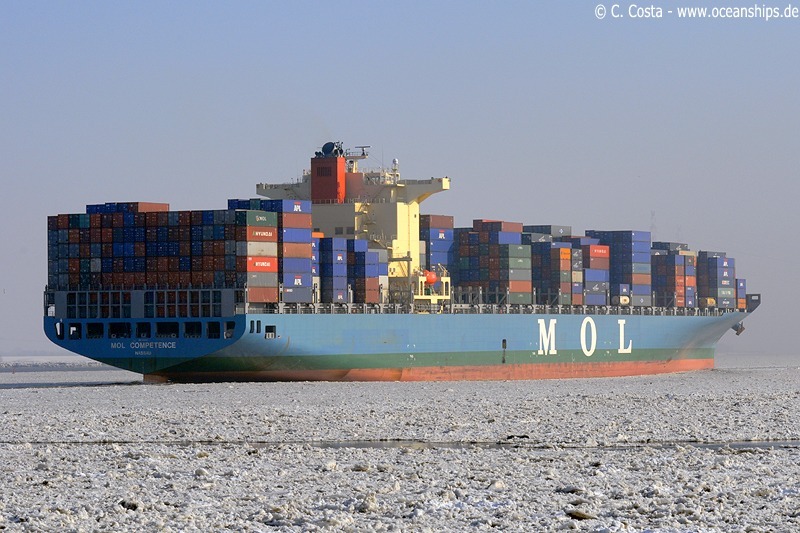 MOL Komati is passing Zeedorp on May 27th, 2009.